“Lessons” is now available for sale for 35$ plus shipping. Please be aware that this book is not the lengthy book of Tellings as in “Short Stories” for the same price. This book is approximately 45 pages of Red Elk’s wisdom on “How To”. Red Elk teaches lessons on health, invisibility, levitation and teleportation and telepathy. Red Elk had these out for sale in a printed pamphlet for 22$ per lesson. We want to make sure you understand this is a shorter book, with actual “How to do” lessons. Click Here to purchase Lessons. Posted on 2 August '12 by Living Documents, under Health Tips, Medicine Man, Message From Heather. 8 Comments. Red Elk’s 2nd book Lessons is available soon! I just completed submitting Red Elk’s second book “Lessons” to Createspace for final approval of sale. The book should be available this week. 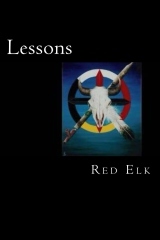 Just completed Red Elk’s second book: Lessons. The back of the book: Within this booklet you will find the teachings of Red Elk. 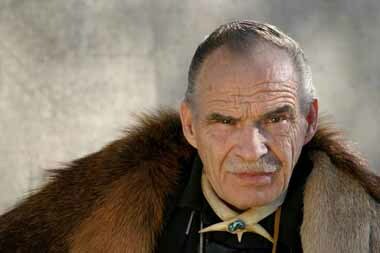 A Med Man / Wakian member of the Inner Heyoka’ Socity. These 12 members follow PURITY…the “ways of Christ”. These Inner Heyoka’ Society are the last of this Society. As they pass away, they will no longer exist. This Society was the BEGINING of what today is known as TRADITIONAL Medicine People. Aho? IF the reader is CONSISTENTLY trying to learn the lessons within…WITH a CHILD-LIKE MIND…..They WILL succeed. Posted on 31 July '12 by Living Documents, under Medicine Man, Message From Heather, Red Elk Speaks, Tellings. 1 Comment. Not many can do this, yet there ARE some WITH THE FULL FAITH NEEDED. This is presented to all…Full Faith or not. When a “need” is presented: FIRST ASK “HIM” IF YOU ARE TO “DO”. CHECK, 3 Times on what you receive. One CHECK is : IS IT HARMFUL TO ANY IS IT MORALLY WRONG? WALK AWAY, claiming NO CREDIT. YOU were / are “HIS” Physical Body. “HE”, not YOU….”did it. Posted on 15 December '10 by Whale Sister, under Creator, Health Tips, Medicine Man, Prayers, Red Elk Speaks, Spiritual Matters. No Comments.